Home » People » Sébastien Proulx, Ph.D.
Sébastien Proulx is Associate Professor of Design and Coordinator for the industrial design major at The Ohio State University. He holds a PhD in Design and a Master of Applied Science in Design and Complexity from the University of Montreal. He completed postdoctoral studies in public health at the Institut de Recherche en Santé Publique de l’Université de Montréal (IRSPUM) and a doctoral fellowship in political and moral sociology at the École des Hautes Études en Sciences Sociales in Paris (EHESS). Before joining Ohio State’s Department of Design, Dr. Proulx was a lecturer at the University of Montreal’s School of Design for 12 years. He taught social service design, problem setting and visual communication to industrial design students. He is also a recurring visiting professor at the University of Nîmes (France) where he teaches within the Design for Social Innovation graduate program. He is a board member of the Ateliers de la recherche en design (Francophone Design Research Network) and serves as Associate Editor of the French peer-review journal Sciences du Design (PUF). He also remain affiliated, as a research associate, to the University of Montreal’s Design et Société research group. His research program revolves around the role of designers in the development of public services and policies. His approach draws on moral sociology and care ethics to develop an appropriate conceptual framework to provide designers with ways to cope with the complexity of contemporary social and political realities. 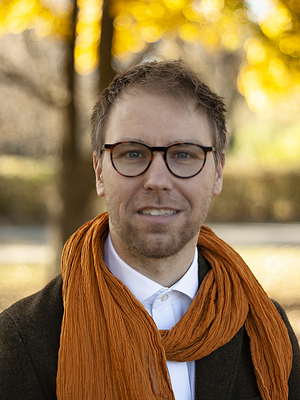 His research goals are about 1) understanding designers’ role in the sociopolitical realm (theoretical goal), 2) expending the horizon of design activities in the development of public services (practical goal) and 3) making designers capable of assuming the responsibilities associated to such a stance (pedagogical goal). "Designing for the Vulnerable: MacIntyre’s Concept of Proxy as Ethical Framework"
“Le design à l’épreuve du concept de pratique"
"A Political Reading of Design. The Case of Orientation"